Everyone has different needs and wants when it comes to starting a homestead. If you want the best place for you and your family you need to consider these big items before you buy your land. 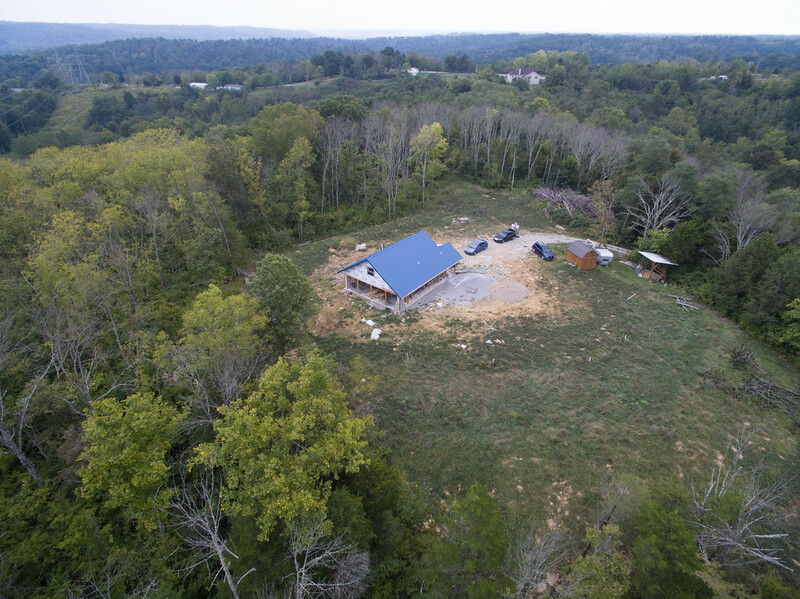 Different homesteading ventures require different amounts and types of land. If you want to build a house using materials from your land, you may need to look for access to sturdy hardwoods, stone, clay soils, and more depending on the type of construction you choose. Figure out what building materials you will most likely need, find properties that provide as many of them as you can, and devise ways to acquire the rest in your area. Followers of the blog know that we’re building a cordwood house, so our property search included the need for lots of softwood trees. 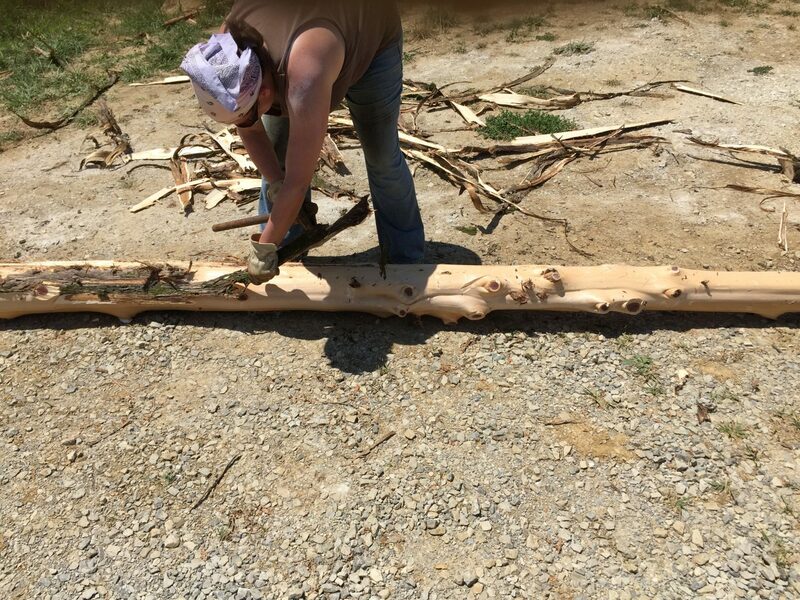 Luckily for us, eastern red cedar is a good wood for cordwood masonry and it’s practically a weed around here so we found a property with an abundance. If you are building a house from scratch, I HIGHLY RECOMMEND orienting your house using passive solar principles. This includes having the long face of your house facing south (for my friends in the northern hemisphere) with more windows on the front, fewer on the east/west walls, and few to none on the north side. Passive solar orientation will save you a lot of energy in heating and cooling whether you build off grid or not. You may also choose to have active solar via solar panels, hot water heating, etc. In either situation, look for properties with good southern exposure and a buffer to the north if at all possible.If you are reading this from the southern hemisphere, simply reverse these directions to face north instead of south. While most people think you need tons of land to grow all of the food you need, it is entirely possible to grow the majority of the food you eat on parcels under an acre. Sounds crazy right? I used to think that when I lived on our little .2 acre postage stamp in the suburbs that I could only have a small garden, and I’d constantly wished for more time and space to grow the abundance of food I desired for my family. Since then, I have learned about permaculture gardening and have seen how Amy Stross turned her .10 acre into a productive and flourishing permaculture garden. She has an excellent book out called The Suburban Micro Farm, which provides LOADS of great detail and in-depth guides. This is one of those points people will argue about as to whether a piece of land is too big or too small to hunt on safely. All I’ll say is that you need to carefully consider the types of wildlife you will hunt and what kinds of tools you will use (bow, firearm, etc.). With rifles especially, evaluate the lay of the land and if you can take safe shots without endangering others near your home, roads, and nearby properties. Our land is 16 acres and Mark has been able to take a deer here no problem, though he did have to really consider his location for taking safe shots. You can read much more in-depth about choosing land for hunting here. If your property doesn’t have an existing body of water available for your use, take a look at how you may be able to safely and legally construct a pond or similar on your property. Our property’s topography makes it a bit tricky to have a pond. While we hope to be able to develop one eventually, we recognize that it may never happen. It’s a trade-off we made to get the property we really wanted. Make a list of the animals you may want to include in your homestead eventually, even if you don’t think you’ll have animals for several years to come. This can be anything from bees to goats to cows. Research the needs of your desired livestock and see if you can find land in your desired location at a price point you can afford. You may need to adjust your animal expectations to meet your goals. You, your garden, and potential livestock will need water. How will you harness it? 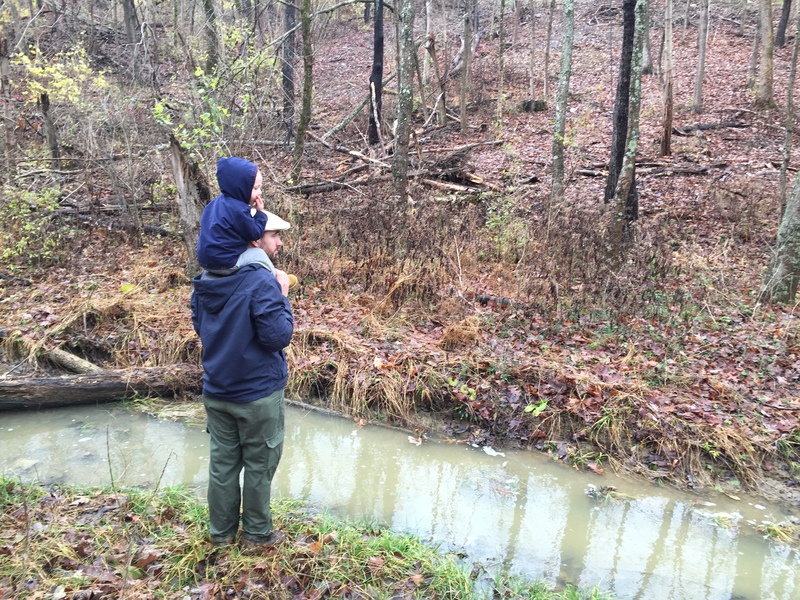 Does the property have a spring, pond, creek, or another water source? Can you use rainwater catchment with a cistern? Dig a well or use an existing one? Create water forms such as ponds or swales? Does the location of your property have enough yearly rainfall? For example, even though our property is off the grid we still have a fantastic LTE signal that we use for the internet to run this blog! When you visit a property, acknowledge your gut feeling and try to imagine yourself living there. Can you picture yourself living and working there? Is there anything about the property that would hinder you from doing something you love? As an introvert and all around private person, I LOVE the fact that you cannot see our property from the road. I also love that it is still close enough to basic needs I may not always be able to get from my homestead. When we visited different properties there were some that felt like home and others that felt like we didn’t belong. Listen to your gut feelings! The first time we drove up our driveway when we went for a look, I knew we were home. We still approached the financial dealings to get it with cold objectivity, but in our hearts, we knew it was where we needed to be. This may not be for every family, but is certainly something for all to consider. After all, none of us is guaranteed good health no matter how many good choices we make. Many homesteaders desire to be prepared, so I would encourage all to consider current and future special needs as an act of preparedness. Some special needs may require a constant and reliable source of energy that may or may not be hindered by an off-grid power system. This can include anything from C-Pap machines to special monitors or assistive devices. If this sounds like your family, make sure you look for properties with accessible utilities. You can always add a grid-tied energy system later if it is important to you. You should consider accessibility to your land and your mobility needs. For example, certain terrains may be easier to navigate than others either on foot or in a vehicle. With conditions that are worsened by different types of environments, look for any triggers on and around any property you consider. 11. Proximity to a town with stores, banks, places of worship, etc. 12. Distance to a hospital, doctors, dentists, etc. These points are highly dependent on the needs and goals of each homesteader. Some of you may insist on being as far away from any town at all. Others may still want access to a mid-sized city. Some may be wholly committed to being completely off-grid and self-sustaining. Or you may want to opt-out gradually. Whatever you desire, look at how your property will help you to achieve your goals. If you’re ready to do a deep-dive into your homestead building plans, grab our free PDF guide to help you get started! Emily I adore this post! It is jam packed with the type of information I need. We have relocated from Fl to MD for my husband’s job and had a backyard flock of chickens (actually about 7 through the years) and a garden of some type for the whole of our marriage. We want to jump into a bigger lifestyle goal with land and livestock. We have about a year until our rental is up but have been researching and that is how I found your blog! Yay! I do have one question, though. Your 3rd point of consideration was gardening and foraging. I didn’t see anything actually written out about foraging. So, do you forage? I assume on your own property at least….maybe fish and forage somewhere else as well? Just thought I would ask. My husband and I found an excellent resource down in Fl about “Eating the Weeds” where a forager actually walked a group around for like 3 or 4 hours to teach us about it. I will be searching for that here as well. Thanks again for this and your other great posts! They are extremely encouraging and informative. We do forage a bit, but are still just getting our feet wet, so to speak. We have some dewberries growing on the property, as well as wild onions and other standards like plantain, red clover, and purple dead nettle among many others. I didn’t really write much about it because it’s something we haven’t done in great detail yet. And like you suggested, I would highly recommend to anyone to search for a qualified forager in your location and have them walk a property with you. There’s so much that varies by region (and even little micro regions) that it’s worth it to find a local expert to keep you safe on your foraging journey. Good luck to you!